Amy Winehouse's 15-year-old goddaughter performed an outstanding set at the Big Chill music festival, mirroring her late mentor by closing her show with a cover of Winehouse's "Love Is a Losing Game." Dionne Bromfield got teary-eyed when she performed the song, barely able to sing its last few words, though the crowd cheered her on. "She was an amazing singer," Bromfield said. "She was not only my godmother, but she was my mentor and my boss as well." The big-voiced singer sang with ease during her 30-minute performance on Saturday, the second day of the U.K. music festival. Bromfield was a reminder of Winehouse: She stood close to the mic while belting lyrics, with her big hair and tiny build. She was backed by a five-piece band and dancers, performing songs from her two albums and singing mainly about boys and relationship troubles. Her scratchy voice was top-notch as she sang soul songs with pop flavors, especially on the old school-sounding "Remember Our Love" and the up-tempo "Yeah Right." She also performed covers of Cee Lo Green's smash "Forget You" ''and the Shirelles' "Mama Said," Bromfield's first single. 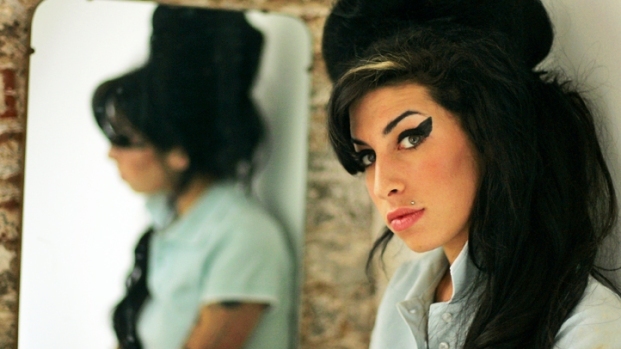 Winehouse, who had struggled with drug and alcohol addiction, was found dead of unknown causes at her London home on July 23. Bromfield is signed to Winehouse's label, Lioness Records.